This is a power steering pump for a Land Rover Discovery 1. This one is in really nice shape. It was removed from a D1 that was still running and driving when I got it. It steered smoothly and easily with no problems. Land Rover Discovery II Power Steering Pump Seal Kit for Discovery II 1999-2004. Discovery II 1999-2004. This kit is an affordable. We want to be your one stop for Land Rover. 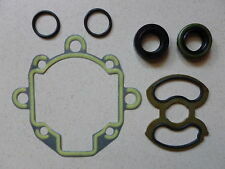 6 Piece Kit Including: Main Seals. Part was removed from a 2006 Land Rover LR3 4.4L. All parts are stamped with invisible ink for security purposes. We have a New Genuine Power Steering High Pressure Hose fits Discovery 2 99-04. We are Rover people. 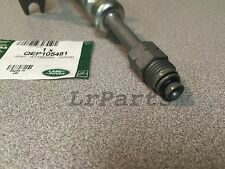 PART # LR061407 ,QFX500060. STEERING PUMP RESERVOIR. RANGE ROVER 06-12. RANGE SPORT 06-13. Part # QEP105481, QEP105480. Discovery II V8 99 - 04. Power Steering High Pressure Hose. The bracket number is PQU500032 and AISI10CU2FE. 2005-09 Land Rover LR3 4.0L V6 engines. This bracket may fit other models and years. We are located in Albany, Oregon. 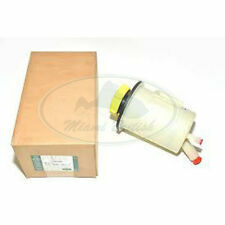 We have a New Genuine Power Steering Fluid Reservoir fits LR2/ Freelander 2. We are Rover people. Need help?. Let's chat. Rims and Wheels. Exterior Accessories. Engine Parts. Cooling System. Part # NTC2595. Defender V8 90 & 110. Power Steering Hose – Reservoir to Pump. 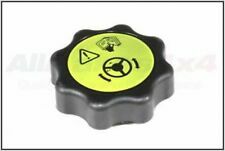 We have a New Genuine Power Steering Reservoir Cap fits Discovery 2 V8 99-04 ; Freelander 98-06. We are Rover people. Need help?. Let's chat. Rims and Wheels. Exterior Accessories. Engine Parts. Cooling System. Part was removed from a 2005 Land Rover LR3 4.4L use fully loaded, it is in good working condition and ready to be installed. All parts are stamped with invisible ink for security purposes. Part was removed from a 2006 Land Rover LR3 4.4L use fully loaded, it is in good working condition and ready to be installed. All parts are stamped with invisible ink for security purposes. Part was removed from a 2005 Land Rover LR3 4.4L it is in good working condition and ready to be installed. All parts are stamped with invisible ink for security purposes. Part # LJR000220 Oil Pump Cover - USED PART. Discovery II 03 – 04 V8 4.6L. Front Cover Engine Gasket. PART QVB000110. LAND ROVER POWER STEERING PUMP. FOR RANGE ROVER FROM 2003 TO 2005. we also speak the following languages. 2004 LAND ROVER RANGE ROVER HSE POWER STEERING PRESSURE PUMP HOSE LINE PIPE OEM. Land Rover Power Steering Pump 8 Piece Seal Kit for LR3 4.4L 2005-2009, Range Rover Sport 2006-2009. LR3 2005-2009 4.4L. We want to be your one stop for Land Rover. We have a New Genuine Engine Oil Filter Adapter Oring. We are Rover people. Fits Discovery 2 99-04 V8 Engine. Engine Parts. Need help?. Let's chat. Rims and Wheels. Exterior Accessories. PART # QEP500621. POWER STEERING - HOSE. RANGE SPORT 06-09 / 4.4L & 4.2L. RACK TO PUMP. Part # NTC2595. Defender 90 & 110 V8. We are Rover people. We have a New Power Steering Hose – Reservoir to Pump. Part Number: QVB000110. Range Rover L322 03-09. Condition: GENUINE LAND ROVER PART! Used, tested working. Model: Range Rover HSE. Make: Land Rover. Information and videos of donor vehicles. We are here to help! NEW PART # QVB101472. FOR FREELANDER FROM 2003 -2006. LAND ROVER POWER STEERING PUMP. 04/12/06 (M). we also speak the following languages. 1999-2004 Land Rover Discovery 2 (4.0L/4.6L). We dismantle complete vehicles, so we havemany other Mini Cooper, BMW, Land Rover, Range Rover and Volkswagen Parts available! NTL Auto, LLC. The engine and/or transmission must be in the original condition as listed in the photos. Range Rover Classic | '87 - '95. Defender 90 | '94 - '97. PART OLD PART # QVB500430 NEW PART # LR009777. LAND ROVER POWER STEERING PUMP. 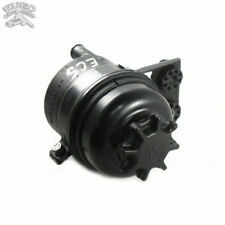 FOR RANGE ROVER 2006 - 2009 4.2 & 4.4 V8 PETROL. NEW ORIGINAL PART. (M) 02/03/10. we also speak the following languages. LAND ROVER 2000 -2004 (Discovery). LAND ROVER 1999 -1999 (Discovery), Series II. Option Type: (Discovery). Make: LAND ROVER. Model: DISCOVERY. Part: Steering Pump. Year: 2002. Left vs. Right. Part was removed from a 2006 Land Rover LR3 4.4L use fully loaded, it is in good working condition and ready to be installed. There is a range of parts interchangeable with other models and years of manufacture. Part # LJR105040. Range Rover 99 - 02 V8 P38. Front Engine Oil Pump Cover. Discovery II 99 - 02 4.0L. USED PART - GOOD CONDITIONS. This will not fit a V8. This one is in really nice shape. This ran quietly and didn't leak. RANGE ROVER SPORT HSE. 2007 LAND ROVER. Be sure for what you buy! - it is an electronic part in good condition. - don’t need it anymore;. - wrong part ordered;. - doesn’t fit;. - changed your mind;. Part was removed from a 2005 Land Rover LR3 4.4L. All parts are stamped with invisible ink for security purposes. OLD PART # QFX500060 NEW PART # LR061407. LAND ROVER LR4 5.0L V8 PETROL. LAND ROVER LR4 3.0L SC V6 PETROL. LAND ROVER LR4 3.0 V6 DIESEL. LAND ROVER LR4. LAND ROVER LR3 4.4L V8 PETROL. LAND ROVER LR3 2.7L V6 DIESEL.